Winter onions are also called walking onions because of the way they spread throughout a garden bed. These perennial onion plants produce small bulbs, or bulbils, instead of flowers. When the leaves die and fall over so the bulbils are on the soil, the winter onions begin growing into a new plant. Use the leaves as green onions or dig up the bulbs and use as you would common garden onions. Plant winter onions in August to ensure a bountiful harvest the next year. Lay a 2-inch layer of compost over a garden bed that receives full sun. Till the compost into the soil to a 6- to 8-inch depth. Sow the bulbils 1 inch deep and space them 5 inches apart in rows. Firm the soil lightly over them with your hands, then water thoroughly. Water the onions until the first fall freeze, providing about 1 inch of water a week. Cover the bed with a 3-inch layer of straw mulch once a freeze occurs. Remove the mulch in spring once the plants begin actively growing again. Resume watering, providing 1 inch of irrigation in a single weekly watering. Harvest the green leaves throughout the growing season as desired, but always leave at least half the leaves in place so the plant does not die. Harvest the bulbs or the bulbils for kitchen use or replanting once the leaves begin to yellow and die back in fall. Alternately, harvest the bulbils for the kitchen but leave the bulbs in the garden to produce next year. Dig up all the usable bulbs if desired and replant the bulbils each year. Alternately, replant the healthiest winter onion bulbs and keep the rest for the pantry. 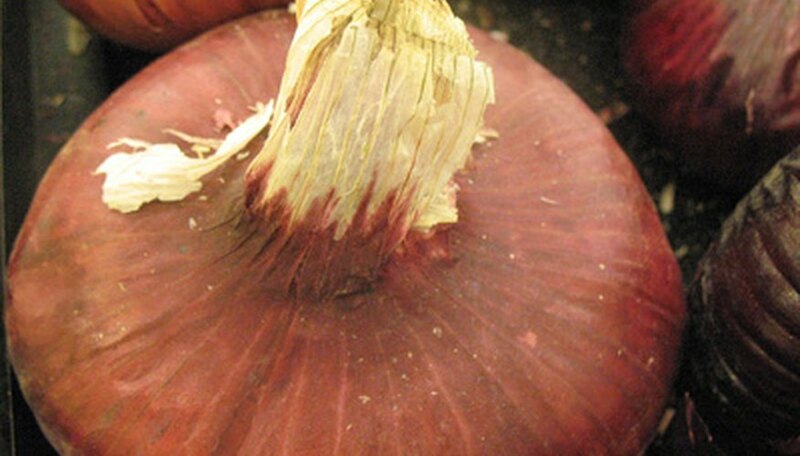 Perennial winter onions can be found at some garden centers or from seed suppliers. You can start the plants from bulbils supplied by friends or neighbors. Remove the bulbils once they form or the winter onions can take over the vegetable bed. Replant them yourself if desired instead of allowing them to self-sow so you can control the size of the bed.